The pre production has been a success and the filming has been finished, so what happens next with the footage? This article describes our editing process and why it’s key to include you in the video creating procedure. Following a day of filming we take all the memory cards that we used and capture all the footage onto our computers in our editing suites. Everything gets loaded onto our system and then stored on external hard drives. We do this after every day of filming just in case a card corrupts or if somebody films over the footage. Once the files are safely off the memory cards, the editing begins. Our editing suites are fully supplied with the necessary software and hardware to swiftly and professionally edit a video. Our skilful editors have years of experience, editing a variety of videos, quickly and efficiently. Firstly all the footage is viewed and logged so that the editor can see what footage they have collected and to make sure the sound and footage is faultless. The key structure of every video is different; our editors follow the structure set out in the brief. Some times they will follow a storyboard or the script provided for the voiceover. Alternatively, if a video contains interviews, these can be used to produce the basic narrative for a video. All unnecessary words will be cut from the interviews leaving short and effective sound bites that contain only relevant information. Deciding on the music early on can also help define the structure of the video. Once the structure of the video is in place, the editor will find relevant additional footage that reinforces the key messages being portrayed in the interviews, voiceover or sound track. They will decide where to add effective footage and choose where to insert graphics and titles. Once these are collated together the editor will have created a first rough cut. This should adhere to what you requested in the brief. When creating a video we want to ensure that it meets your brief. From our pre production meetings and communication during the shoot we should garner a good idea of what you want. But it would be impossible for us to create a finished product without your input during the edit. There should be a strong line of communication between the editor and the client, and we provide this in many forms. We upload the rough cut of your video then send you the link. This allows you to view the video, take notes of what you want changed or to show others for their feedback. If you or your colleagues aren’t satisfied or need something amended, you can email or phone the editor directly to illustrate what you want adjusted. Be honest with us; don’t be afraid of stating your honest opinion. Alternatively we offer the opportunity for somebody to sit in with the editor on the edit at the studio. This service is provided at no extra cost. We wouldn’t recommend being there for the whole edit, but an hour or two of clear opinions and directions can help us meet your brief. Once you’re fully satisfied that all the amendments have been implemented, our editor will complete the video by levelling the audio and applying a colour grade. You tell us what format you need the video exported into and we’ll supply it. We export and deliver videos in an assortment of different formats. 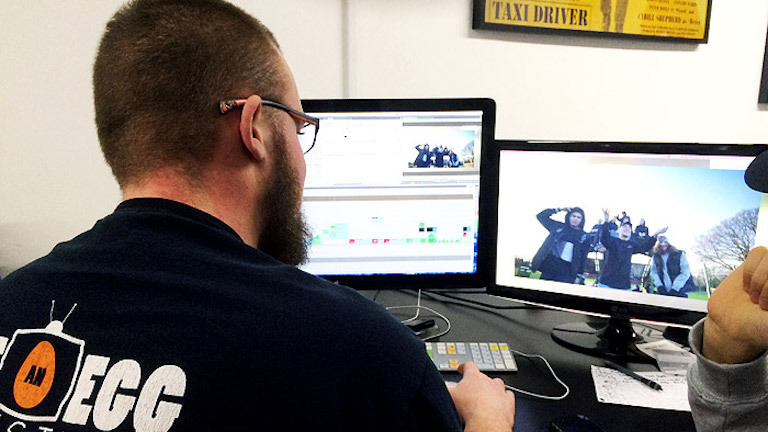 For most of our work, we advocate two days of editing for every day of filming. This breaks up as one day to capture and log the footage before structuring the video and putting it together. An extra day is added per project for amendments, finishing touches and exporting. 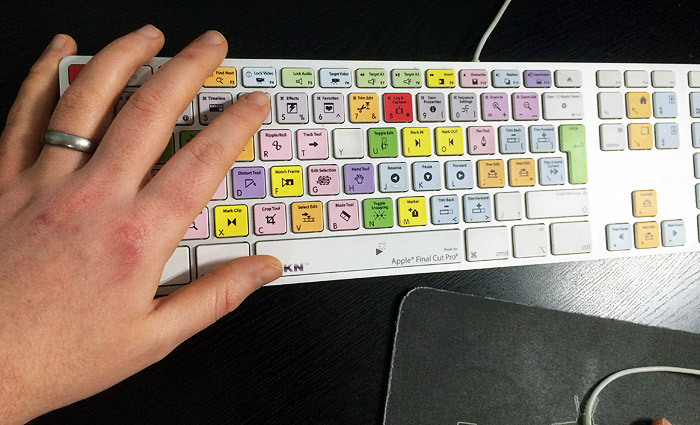 We charge £275 per day of editing, this hires an editing suite and the editor. This is a set price so we don’t add on any other charges, only what we have agreed on in pre production. We will strive to finish all the editing in the allotted time. We very rarely fail to finish an edit in the designated timeframe, if this instance does occur we’ll converse with you immediately over any added cost. Unless there is a major change to the agreed brief, we will not need any extra days to finish the edit.